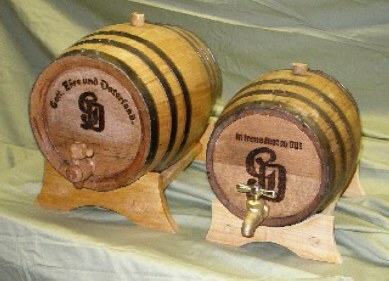 Beautiful wooden barrels for beer, etc. 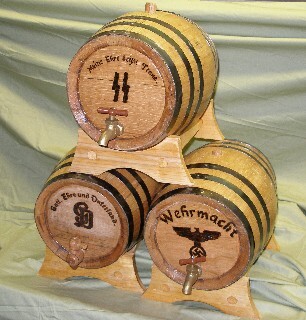 with various logos, complete with wooden stand rest. Available in 5 liter and 10 liter sizes. Prices: $65 for 5 liter size, $85 for 10 liter size. Please specify size, logo and spigot type when ordering. All barrels shown here are 10 liter size.